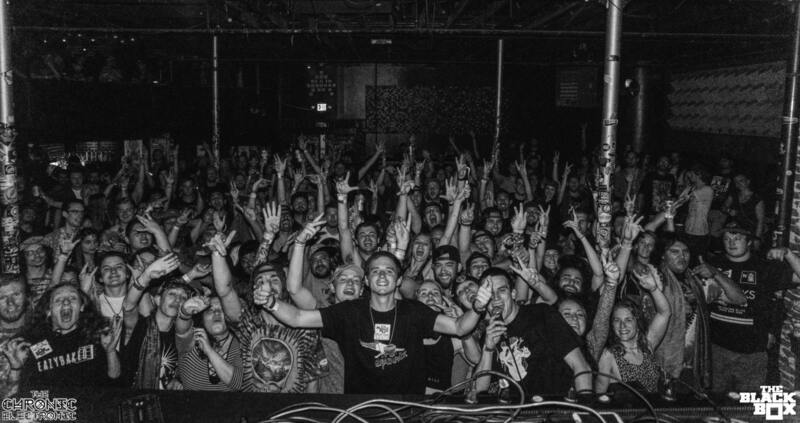 Recently on June 8th of this year, Denver’s top underground bass scene at the Black Box was delighted with some of the freshest beats in the scene. Most of the sounds that came from the headliners are published from major labels such as, Wakaan, Deadbeats, and more, the night was guaranteed to be filthy. From start to finish the lineup offered exotic bass that complimented the other artists nicely while it still offered a different sound from each artist. Thought Process and Xenolinguist are locals in the Rocky Mountain Region and brought the heaters early to the Black Box. Thought Process opened it up with some truly exotic beats that lead into Xenolinguists heavy trap take over. The duo of Eazybaked didn’t hold back though, followed the heavy sets from the locals, the two took their mind bending sounds to the revered bass couch system for a whirlwind of insane beats and samples that left the dance floor riddled with gnarly bass faces and wobbly knees! This allowed for the final act to waltz into the room for a showcase of down right disgusting beats and energetic vibes. Champagne Drip ended the night at the Black Box with a room full of bass heads astonished by the variety in the music. 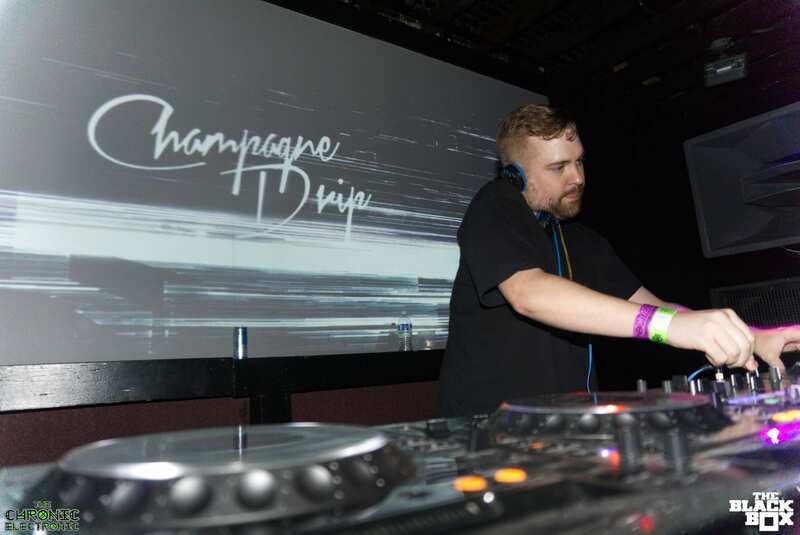 With multiple releases on massive labels, Champagne Drip played out a set that was unique for the bass community and for the Mile High. You can check out the rest of the night with the full photo gallery link below along with links to the artists socials! Check out the rest of the Black Box’s calendar and make sure to join us for our next event with the duo of Alix Perez and Eprom as Shades! Follow the links below to follow closely! This entry was posted in Articles: Reviews, Event Media, Music Reviews, News, Upcoming Artists. Bookmark the permalink.